Californians care about the environment--so does Subaru. For most auto manufacturers, it's enough to design vehicles with greater fuel economy than past models. For Subaru, the commitment to green practices goes well beyond fuel efficiency - Subaru models are some of the most efficient vehicles available! If you're looking for a vehicle that's made by a company that goes above and beyond the government requirements, Subaru is an easy choice. 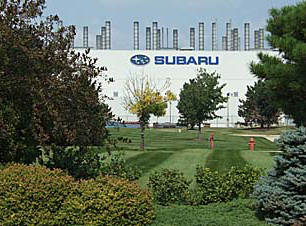 Subaru has a long history of dedication to environmental protection and ethical practices. 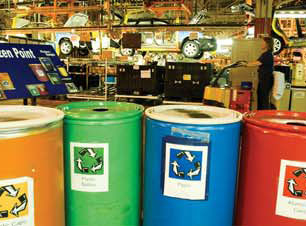 In fact, Subaru was receiving awards as far back as 1989 with the Recycling Achievement Award. In 1993, Subaru received the Environmental Purification Award to recognize its cutting-edge paint recycling program, but awards like these were just the start--in 1993 Subaru partnered with the Pennsauken School District to start "Make a Difference Day" and a partnership with the International Mountain Biking Association in 1996 led to the Trail Care Crew program geared towards improving trails and communities across the country. 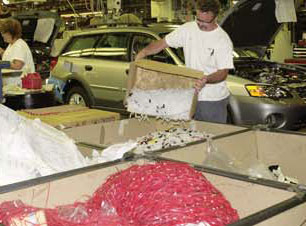 The zero landfill mission is a big part the Subaru environmental plan. 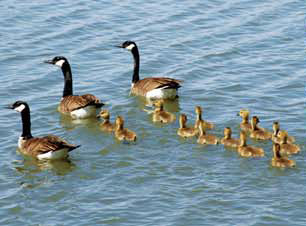 Not only is the Subaru plant in Lafayette, IN sustainable, Subaru of Indiana is the first and only auto manufacturing plan to earn the status of National Wildlife Federation Backyard Wildlife Habitat, featuring 800 acres that are home to turtles, red-tail hawks, white-tail deer, blue heron, and other treasured wildlife. With the historic Zero-Landfill Initiative, Subaru and the National Park Service have begun eliminating garbage in our national parks. When you're looking for a new vehicle that befits the adventurous nature of life in California, find a new Subaru here at Subaru of San Bernardino. We're proud to be your Riverside area premier, full-service Subaru dealership with a great selection of new Subaru models as well as certified pre-owned Subaru vehicles available at great prices. 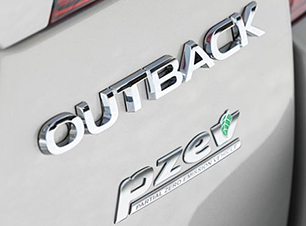 Thanks to programs like the Zero Landfill Initiative, Subaru is a highly eco-friendly auto manufacturer. We also offer fantastic new Subaru specials so you can save big, whether you decide to purchase or lease. That's not all--our state-of-the-art service department (where we offer money-saving service specials) is the place to go for dependable Subaru maintenance. We carry a full selection of genuine Subaru parts and accessories when you'd rather get it done yourself. If you have a Subaru in mind, we'll be happy to schedule your test drive when you call us at (877) 501-8065, then come by and see us at 645 Auto Center Dr, San Bernardino, CA 92408, where we'll make it worth the trip from nearby Colton or Rancho Cucamonga, CA.